Have you tried the simple square cushion cover we showed you in yesterday’s post? It’s a standard cushion cover that’s been around for years, but depending on how you prepare your fabric (quilted), embellish it (applying applique or fringes) or choose how it’s going to shut it closed, it gives you a chance to make it your own, and get creative. Today we’re looking at how to make a perfect cover that you can use to update a patio cushion that already needs a new cover. 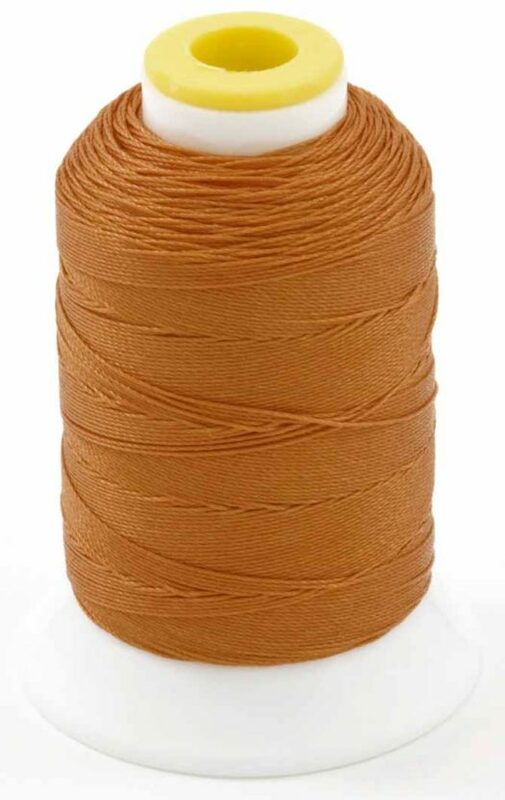 We’re using Coats Outdoor Thread for a thread that can withstand all types of summer weather conditions. Let’s get started with the Stitched Flange Cushion Cover. 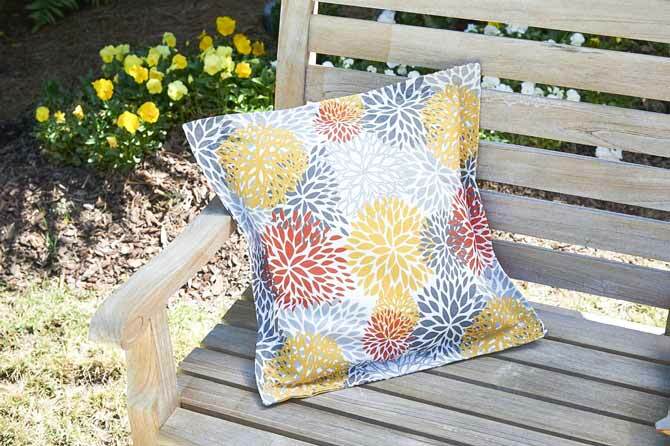 This cushion cover method is perfect for updating an outdoor or indoor cushion that’s ready for recovering. Just be sure that your upcycled pillow form isn’t soiled or moldy. 1. Measure pillow form or existing cushion. Add 4” to the dimensions of the front and back pillow pieces. Cut front. 3. Sew cushion back and front, right sides together, trim corners. Turn the cushion to the right side and press. 4. With the cushion on a flat surface and using a removable marking pen, mark a square (or rectangle) in the center matching the dimensions of your pillow form. On the cushion back, baste the overlapped section together. 5. Thread the machine with Coats Outdoor thread. Stitch on the marking. Leave the thread ends. Repeat ¼” from first row until the outer edge is reached. Thread the thread ends through a hand needle and pull to the inside. Cushions are an easy way to create a cozy garden environment. Think about using an assortment on a swing, bench or patio chair or maybe in the corner of the deck. Here’s another cushion cover style that is equally as easy to make as the previous two we covered (excuse the pun) this week. All three designed by Karen Schaphorst. 1. Measure pillow form. Cut back(s) by method of choice. For the front, divide the width of the rectangle by four. The width of the center panels will be 2x this number plus 1”. The two sides will be 1x this number plus 1”. For example for a pillow 20” wide, the center panel will be 11” wide and the sides will be 6” wide. The length will be the pillow form measurement plus 1″. 2. Cut two side panels from one of the fabrics and a center panel from a coordinating fabric. Pin a side panel to both short ends of the center panel. Sew side panels to center using a ½” seam. Press seam to one side. 3. Thread machine with contrasting color of Coats Outdoor thread and topstitch ¼” from seam on side panel. 4. Prepare pillow back as desired. Pin the back and the pillow front, right sides together. Stitch around the cushion using a ½” seam allowance pivoting at corners. 5. Trim corners and seam allowance. Turn pillow right side out. Insert pillow form. 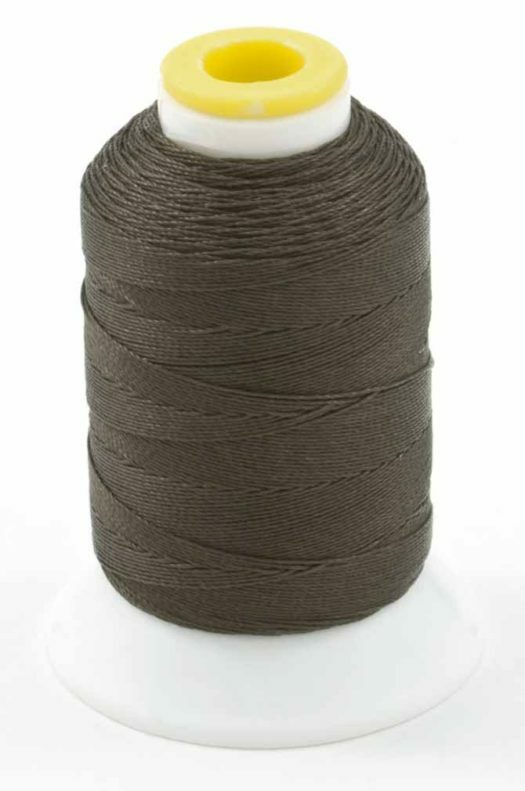 Using Coats Outdoor Thread will provide sturdiness and longevity to your seams as it made to withstand a lot of the outdoor elements like the summer heat, sun and rain. 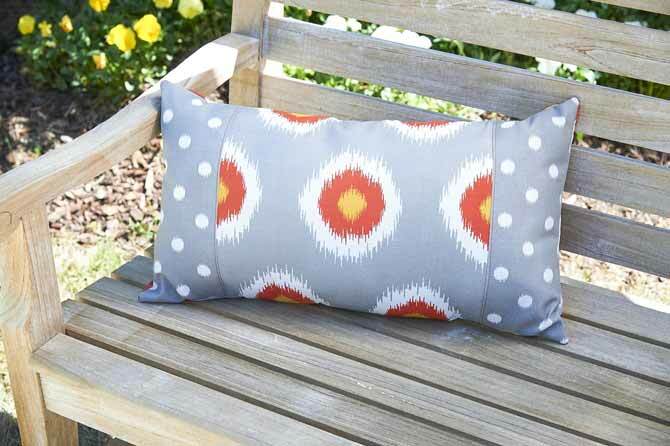 Join me tomorrow as we make a patio cushion seat! Annette Millard is passionate about sewing and has worked in the sewing industry for many, many years and is always happiest with needle, fabric and thread in her hands. She currently enjoys supporting the Coats & Clark community writing blog posts about products and projects for the Coats Sewing Secrets Blog. I didn’t know this thread existed! I’ll look for it.